Complete in box in great shape. It's felines fighting felons in this fantastic furry farce! This includes all 52 English dubbed episodes. THIS IS COMPLETE WITH ORIGINAL CASE AND COVER ART. 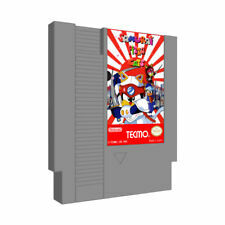 THIS IS AN ORIGINAL USA COPY AND IS NOT A BOOTLEG. No box or instructions. Language: English. A great full-face shot of BIG CHEESE! The smaller cel size used in this series. Note: the reflection on the matted view is from our scanner, the cel is fine. Includes the matching production drawing and a Charles Scott Gallery COA. 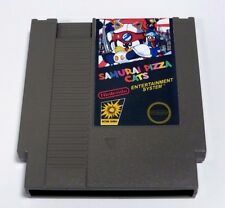 Relive the classic animated series on the your Nintendo with the Samurai Pizza Cats! We live in Japan. Condition :NEW. up to 2.0kg. EMS USD 40 USD 40 USD 44 Ask. Middle East. JERRY ATRIC. A great full-face shot of Jerry Atric! The smaller cel size used in this series. Note: the reflection on the matted view is from our scanner, the cel is fine. Includes a color copy background and a Charles Scott Gallery COA. All problems can be solved by proper communication and patience, that is the quickest way to resolve all issues. OTHER NOTICE：. We are not responsible for such fees on your countries. Do not be fooled by cheap imitations, this is a genuine item from Japan. By Animation Source : Japan. A wide range of motion allows for various poses, and displays can be combined with a wide range of optional parts such as the sword Masamasa. We live in Japan. Condition :NEW. up to 2.0kg. EMS USD 40 USD 40 USD 44 Ask. 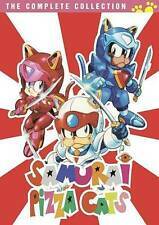 Samurai Pizza Cats The Movie VHS. Condition is Good. Shipped with USPS Media Mail. Tape isn good shape, comes with a plastic box protector thats showing some brittleness, havnt been watched in years (I havnt had a working VCR in years) being sold as is Thanks for looking!! Maybe be the best image of her in the entire series! in Episode 41. The cel is in super condition with almost no trace line fade. Cels stupid together. We also include lots of scans and pictures. The cel and the background are labeled A-1, and it's a KEY cel (only cel used in the shot). The cel is not stuck to the background, however. The cel does have a lot of spotting on it, which cannot be seen when the cel is placed over the background. Hours of operation: Mon-Sat 9:00 A.M – 6:00 P.M PT. We hope you enjoy the photos and information presented herein. See pictures for more detail.